The BIBO express is instant. It’s unlimited. It’s boiling water at its best. Not only compact and beautiful to look at, the BIBO express is cutting edge. It offers a uniquely innovative solution to boiling water, it is safe to use, energy efficient and gentle on the environment.What’s more, it can be wall mounted absolutely anywhere. Where will you put your BIBO express? The BIBO express’s cutting edge design does not require an internal hot tank but rather boils water instantly as it runs through the machine. That means boiling water is a touch away from start to finish; saving you time, preserving energy and preventing water waste. 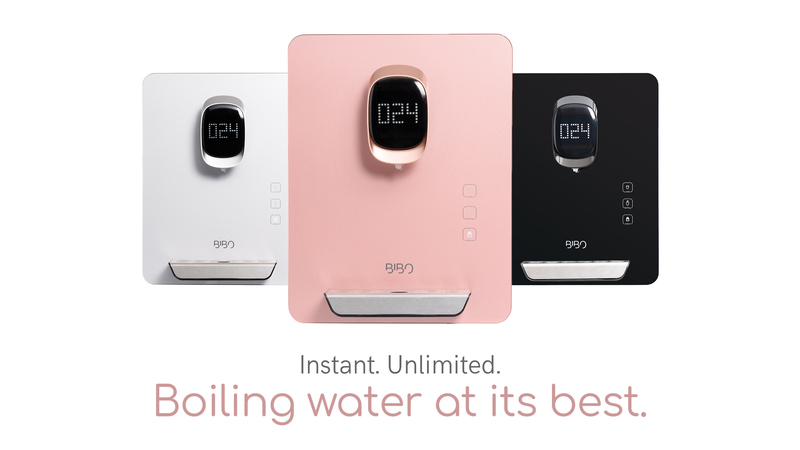 What’s more, this uniquely innovative design makes the BIBO express limitless; it can withstand high usage, effortlessly offering endless boiling water the instant you want it. With the BIBO express less is more; it is compact, sleek and chic and is the perfect statement piece for any space. One look at the BIBO express and you’ll be hooked. The BIBO express’s cutting edge design means you’ll be cutting power bills too. The BIBO express is unique to the market in that it instantly boils water only as needed. By only boiling the water you need, there is zero waste of water & power when it comes to the BIBO express, making it energy-efficient and eco-friendly. The BIBO express is designed with a non-drip function, which ensures that there is no leaking of boiling water. Unlike traditional levers and taps, the BIBO express has a lock key that prevents boiling water from pouring unless you choose to unlock it. What’s more, the BIBO express can be put up absolutely anywhere. Its non-drip function means that there is no need for it to be on top of a sink or drainage. 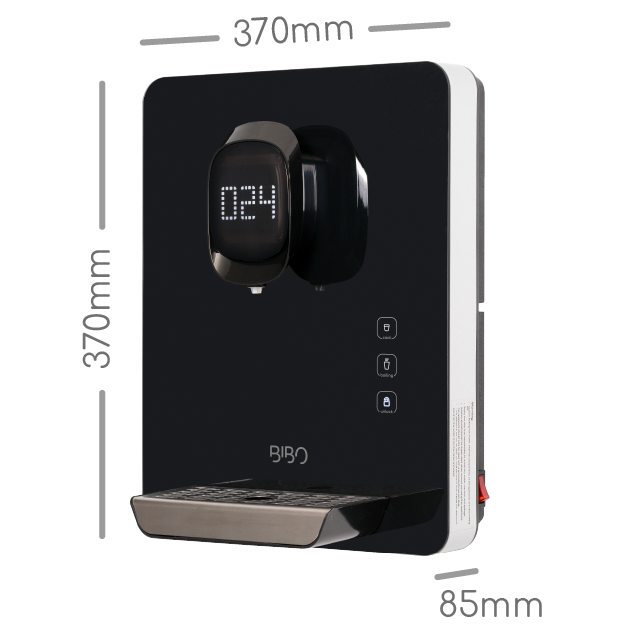 It is simply wall mounted and easily installed.